We support order notification from Paypal Standard, Advanced and Pro version. 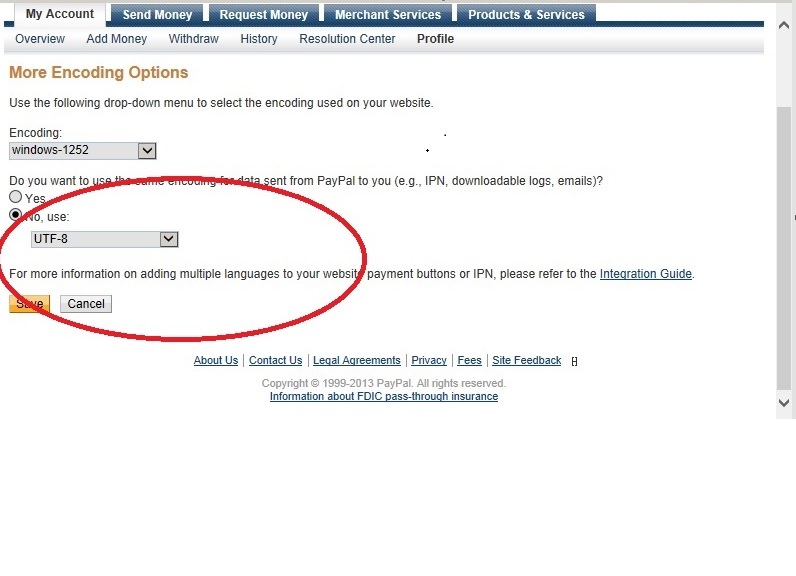 In all cases, you need to configure Paypal IPN (Instant Payment Notification) to notify orders to our system. When your customer (Buyer) make a purchase using Paypal Buy Now button or Paypal Cart, orders will be notified in few minutes. For integration details please contact sales. Q) I configured PayPal IPN according to the setup instructions provided. Why does the order notification still fails? Q) How do I resend Paypal IPN request for missed orders? Q) I am using a shopping cart and I use PayPal for payments. Can I use PayPal IPN to notify orders ? A) Not Recommended. Most shopping carts will use the IPN configuration to notify orders to the shopping cart. If you do setup the IPN notification URL with our IPN notification URL then that will not work as well. Notification via IPN to us only works with Paypal Buy Now buttons and Paypal cart. Q) What happens if servers are down when Paypal IPN notify orders? A) PayPal will re-send IPN requests on a periodic basis until we have the order. For any strange reason if the order is missing in customer portal for more than 2 days since your sale is made, please re-send Paypal IPN request using the above mentioned steps. Q) Does Paypal support shipment Tracking? A) As default Paypal may not notify the shipping address with UTF-8 Encoding format. This may cause loss of International characters. If you are shipping orders internationally, please use UTF-8 characters for IPN. Below is the steps to choose UTF-8 Encoding format..
Click "Profile / My Selling Tools"
Q) Do you support the dropdown options in PayPal’s “Buy Now Button” I use this option to sell multiple quantities? A) No, We are NOT able to support the various quantity values used in PayPal’s “Buy Now Button” dropdown option because PayPal treats those values as arbitrary “text” based options and only transmits a quantity value of “one” as an “integer” when posting the order to our system. Create different ”BuyNow” buttons with different SKU's (for example:- DVD_5Pk, DVD_10Pk, DVD_25Pk, etc. ...) for each quantity option that you want supported. Use a dropdown in your page outside the “button code” and bind the appropriate “BuyNow button” when the customer chooses the dropdown values. Send the SKU’s to us to set an “on the fly” bundle request for each SKU's with appropriate quantity. A nominal one-time product setup cost for each required bundle will apply. Once Bundle is set, we will treat 'DVD_5Pk' as individual product with 5 quantities while receiving order. And 'DVD_10Pk' as individual product with 10 quantities etc. and so on and so forth. We suggest that you make a test order each bundle to ensure that the ordered quantities are coming across ok in our system. Once you check the quantities and all is working well, you can immediately cancel these test orders to ensure that they do not ship. Q) IPN warning notifications from PayPal "Check your server that handles PayPal Instant Payment Notifications"? A) Is there any additional product in your Paypal account configured without item_id that is not supposed to be notified? If that is the case our system may throw error back to Paypal.You may move the IPN from Global IPN URL settings to the individual PayPal button variable. In the following documentation there steps to configure Product Level Setup.